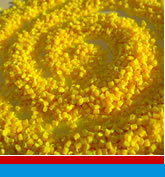 Croda Polymers Additives is one of the world leaders in providing in-demand effects for a wide variety of polymers. Our specialty products play a vital role in modern plastics - from optimising polymer processing and handling during manufacture, to improving part performance and aesthetics for end consumer markets. Crodamide 212 Stearyl erucamide Bead Medium or controlled slip in polyolefins, especially useful in laminated or co-extruded structures. Also mold release at high temperatures eg. nylon 6,6. Crodamide EBS Ethylene bis-stereamide Microbead / Powder Anti-block in polyolefins and process to improve dispersion or fillers. Also mold release in nylon and ABS, and lubricant for PVC. Crodamide EBSV Vegetable ethylene bis-stereamide Powder Anti block in polyolefins and process aid to improve dispersion of fillers. Also mold release in nylon and ABS, and lubricant for PVC. Crodamide EBO Ethylene bis-oleamide Bead Medium slip and anti-block in polyolefin polar copolymers. 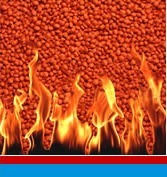 Especially useful as a pellet anti-tack in EVA hot melt adhesives. 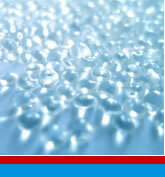 Atmer 129 Vegetabel glycerol ester Microbead (I) Polyolefins and flexible PVC. Atmer 129NV Non-vegetable glycerol ester Microbead (I) Polyolefins and flexible PVC. Atmer 163 Synthetic ethoxylated amine Liquid (E/I) Polyolefins and styrenics.